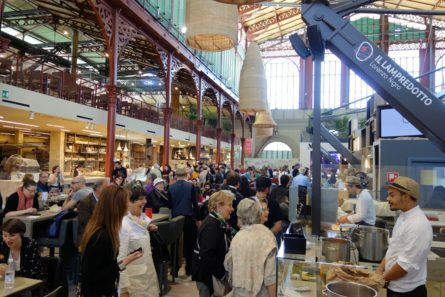 This gastronomic Florence market tour will start with a private visit to Florence’s Mercato Centrale with your local food expert. The market dates back to 1874 and you’ll learn about the staples of local cuisine as you walk through a countless number of colorful stalls filled with produce, cheese, meat, fish, breads, baked sweets, fresh pasta, olive oils, balsamic vinegars, and more! Plus, you’ll get to stop and taste many of these delights along the way. After leaving the market, you’ll make several stops along the way to Piazza della Signoria to try some of Florence’s signature street food, including a tripe panini! (Don’t worry, there are plenty of non-offal options for the faint of heart) You’ll end on a sweet note with a visit to one of Florence’s top artisan gelato shops.